Some commentators suggest that this Cheonan incident may have created be the perfect storm to elbow the regime over the cliff. The consequences of such a “Diem” strategy towards the DPRK would be disastrous. Even without being elbowed, the regime is still going to implode. It is not a question of whether. It is simply a question of when—and and serious economic sanctions run the terrible risk of shoving the DPRK right over the edge. A DPRK implosion will cause a massive disaster crisis on a scale the likes of which the world has never seen before. On the human side, the disaster will involve hundreds of thousands of refugees seeking to breach the Chinese and Russian borders in the Northern part of the country and even greater numbers attempting to cross the heavily- mined DMZ to get to Seoul. There are multi-million numbers involved in human relief efforts that will have to be sustained for a lengthy period of time since there is no economy. Then there are the WMD weapons, expertise, nuclear materials, and rogue military issues also in the equation which will have to somehow be handled with lightening speed before being spirited away into undesirable hands. The current regime is already unstable and approaching a delicate leadership time—a collapse risks an implosion of epic proportions, making Haiti look like a garden party. Russia and China understand this and will not buy into any serious, biting economic sanctions that shove North Korea closer to the brink. There are two critical points here. The first is that there can never be stability on the Korean peninsula until the DPRK can create a modicum of economic progress. Every day that the country can move a bit towards its 2012 economic goal of “A Mighty and Prosperous Nation” is a win and pushes the implosion nightmare back a notch or two. This will require heavier involvement of the private sector, not less. 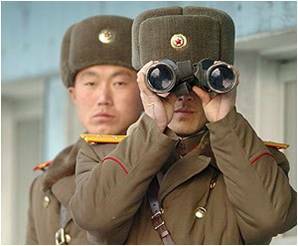 As a policy goal, Seoul and Washington must find ways to get more of the private sector underway in North Korea. The heroine for peninsula stability last year was Hyun Jung-Eun, chairwoman of South Korea’s Hyundai Group who successfully negotiated the reopening of North-South trade after the Dear Leader shut it down. Hyun Jung-Eun personifies the type of private sector leadership that can brunt or possibly block the implosion nightmare– if given enough time. The second point is that the current disaster relief efforts in Haiti and the Gulf of Mexico do not even rise to the level of dress rehearsals for a collapse of North Korea. Seoul will have to bear the brunt of the implosion nightmare. Unless the Blue House is sufficiently satisfied watching Washington’s current response to the crises in Haiti and with the BP oil spill, and is convinced that Washington is fully capable of handling a multiple-fold Haiti with lightning speed and minimal hiccups, it would be well-advised to get a massive, DPRK disaster master plan in place yesterday. This means strategic disaster planning, the staging of huge amounts of supplies, disaster management training and development, and repeated, coordinating rehearsals. The response time will need to be in hours, not days or weeks and a blistering fast disaster response cannot be cobbled together on this massive scale when it occurs. It will be way too late.